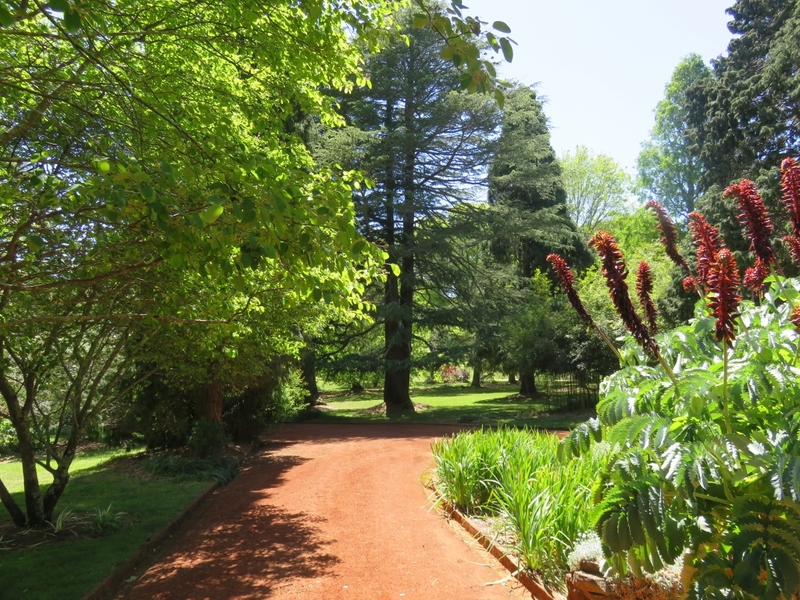 Retford Park, from homestead to country estate.. 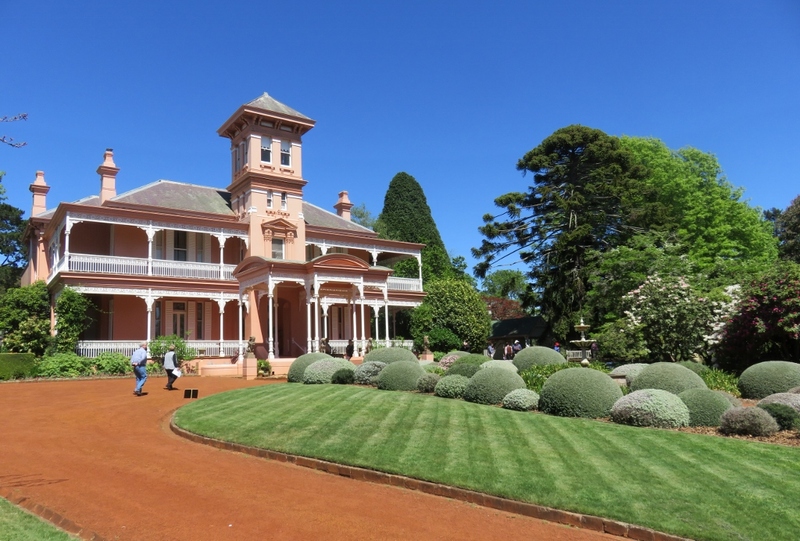 This grand house and parkland is tucked away on the outskirts of Bowral in the Southern Highlands, New South Wales. 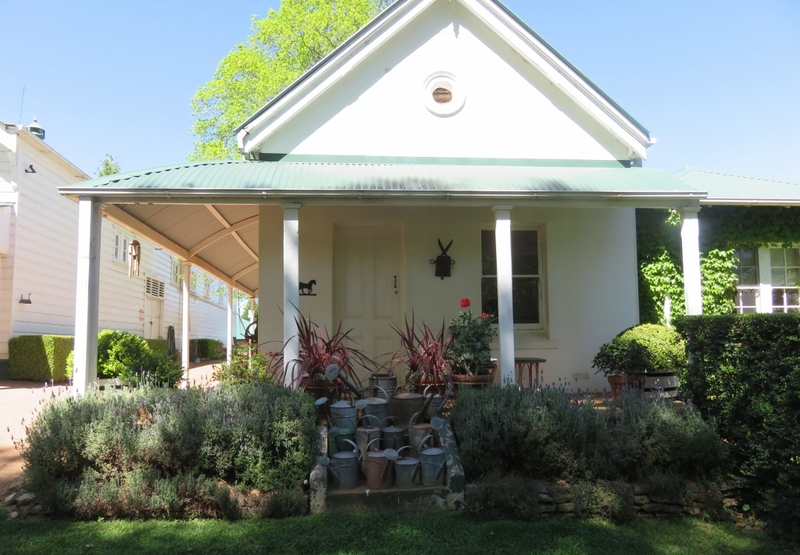 The property dates back to 1821 when Governor Macquarie granted Edward Riley two parcels of land. It was originally called Bloomfield. 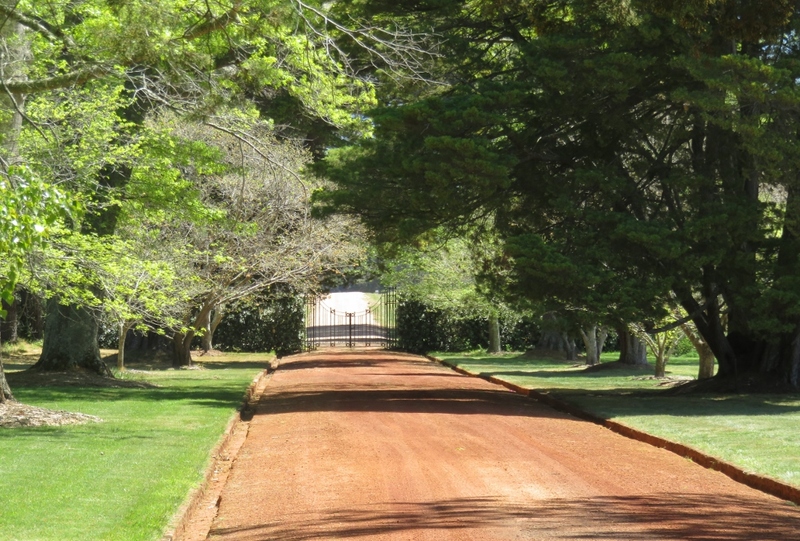 This Jane Austen-like driveway takes us back to the 1880s, when Samuel Hordern bought the property. Fortunately for future generations, his son, Sir Samuel Hordern and his wife, Charlotte, were keen gardeners. 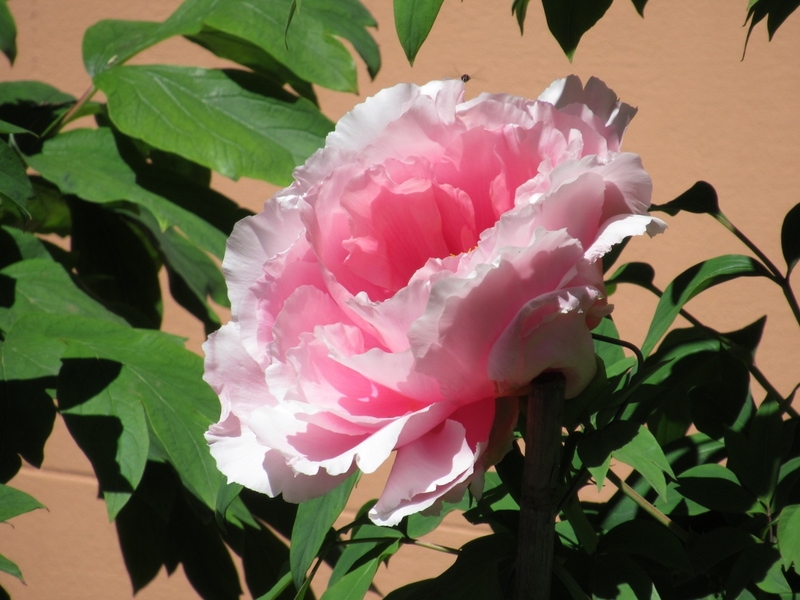 They were responsible for the first of the large trees and camellias, and a park full of rare and unusual oaks. 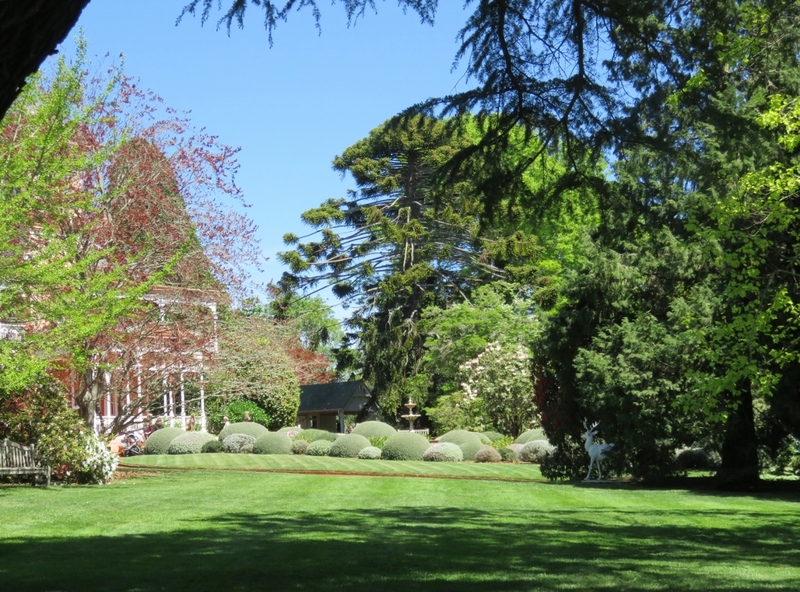 Retford Park was bought by James Fairfax in 1964, and it was his country home until he died early in 2017. James inherited his fortune from the Fairfax Publishing company founded by his forebears, and is a well known philanthropist and art patron. When he died, he showed further generosity and foresight by gifting Retford Park to the National Trust for all to enjoy. 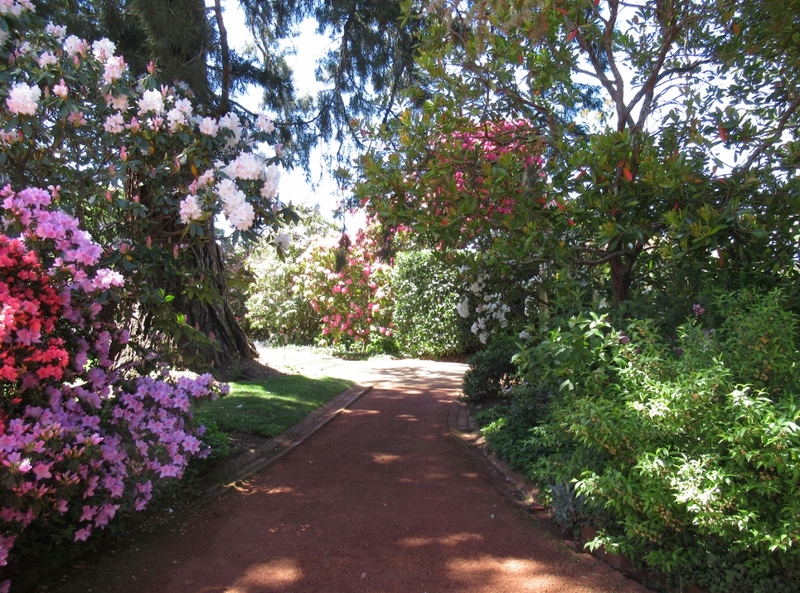 The Southern Highlands has a temperate climate, and for new settlers arriving in Australia, it was a chance to grow colourful shrubs, like camellias, rhododendrons, and azaleas…the gardens were exploding with blossoms and colours.. 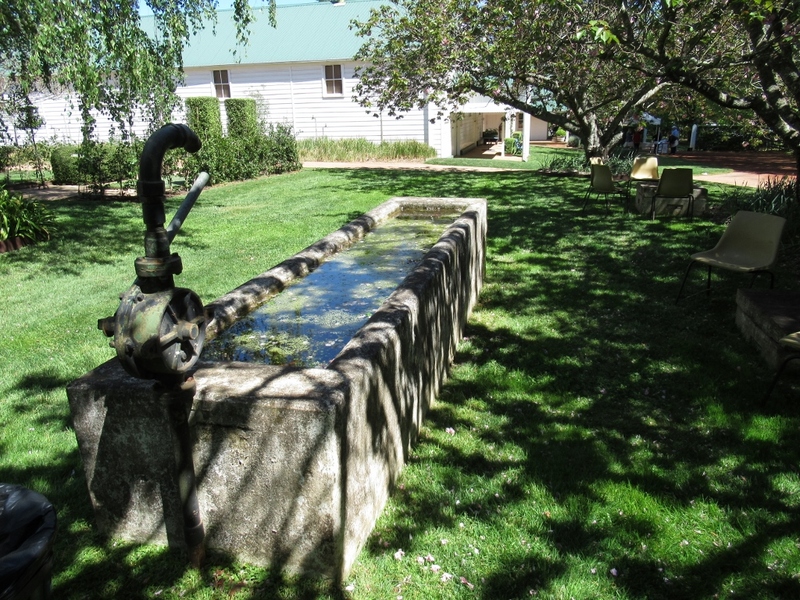 When James Fairfax bought the property he turned it from an agricultural property to a country house for family and friends. 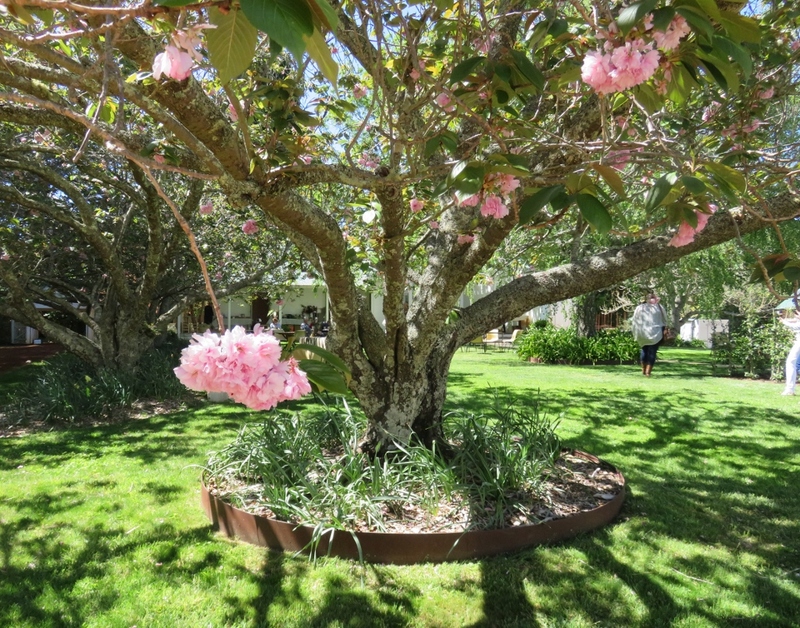 Under his care, landscape designers have blended old with the new. 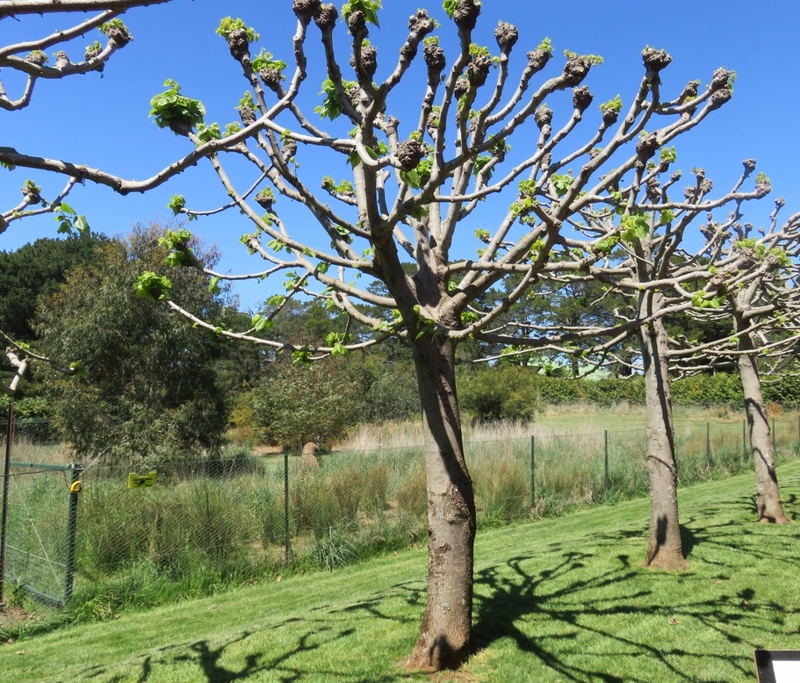 There has been extensive re-planting of the park, with various species, notably, chestnut, gingko, nyssa and many oaks…this is my favourite part of the property. 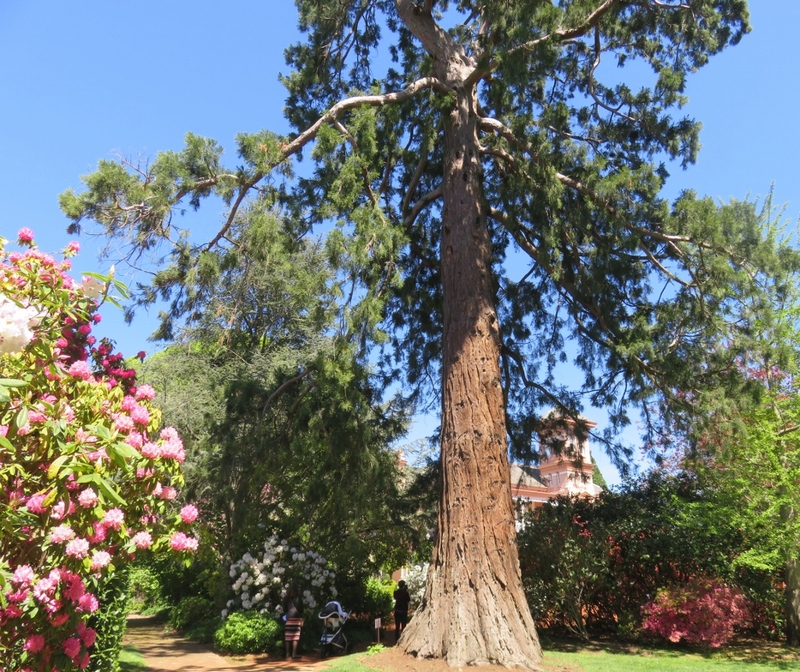 The Redwood tree has increased in height since a huge old Monterey Cypress was cut down after extensive damage by the cockatoos during the last drought…. The pool pavilion was designed in 1968 by the late architect, Guilford Bell. 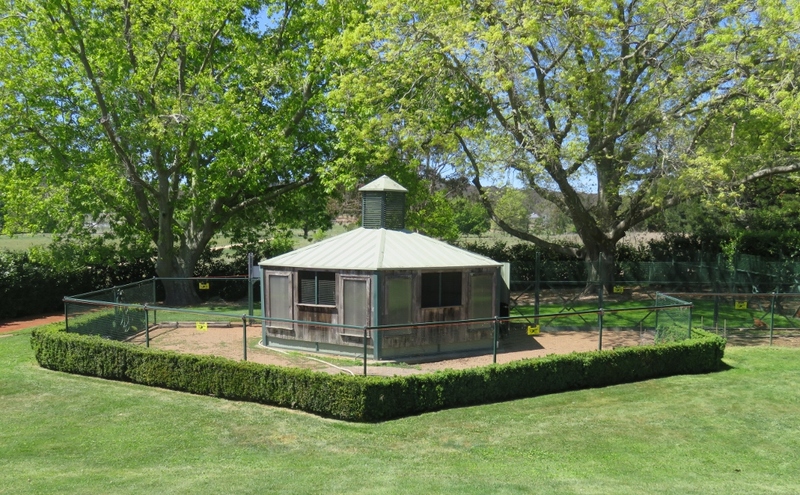 It provides panoramic views across the paddocks. Not very far away from this slick and modern pool is part of the original garden, and here we can see the Rolls Royce of all chicken coups… electric fences to keep out the foxes.. 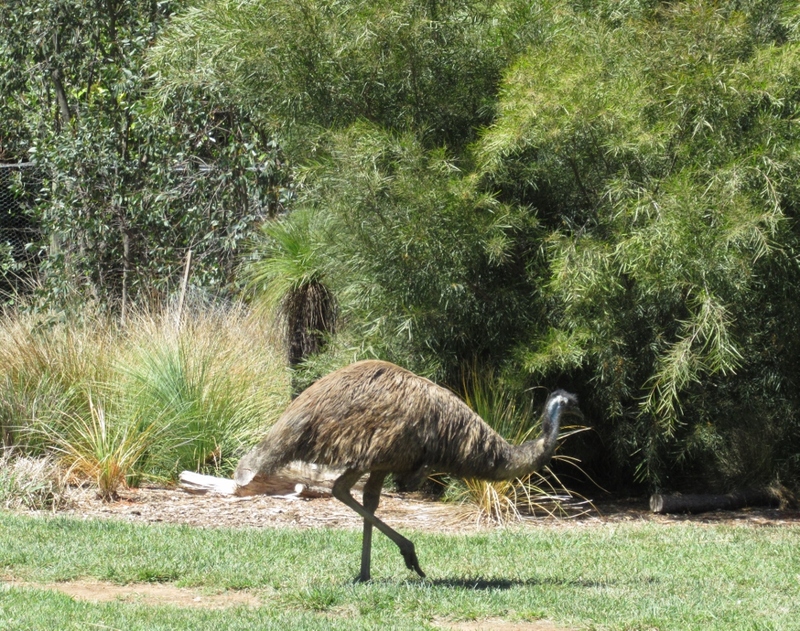 It was customary for large estates to keep exotic birds and animals, and these days, all that remain are some emus. 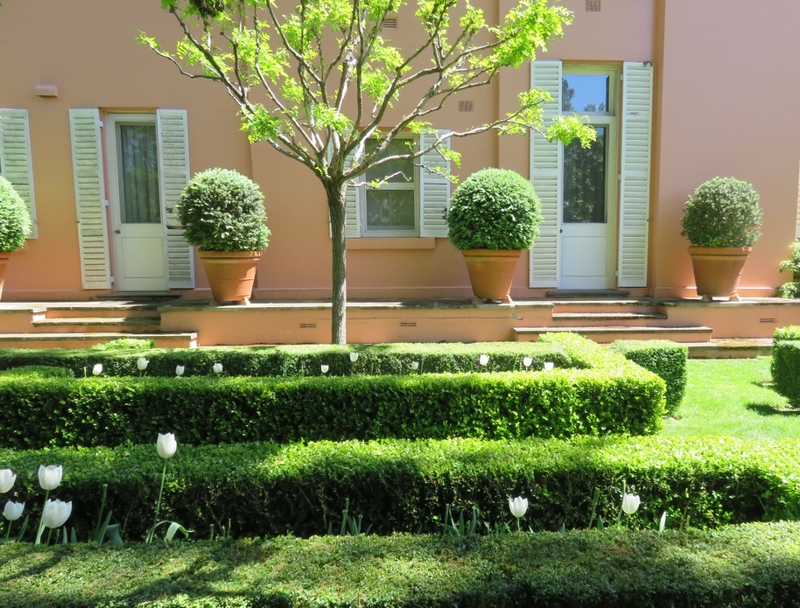 They have an equally generous garden, also surrounded by electric fences…possibly to keep them in! Emus, usually living in dry precarious bushland, probably think they have died and gone to heaven here! 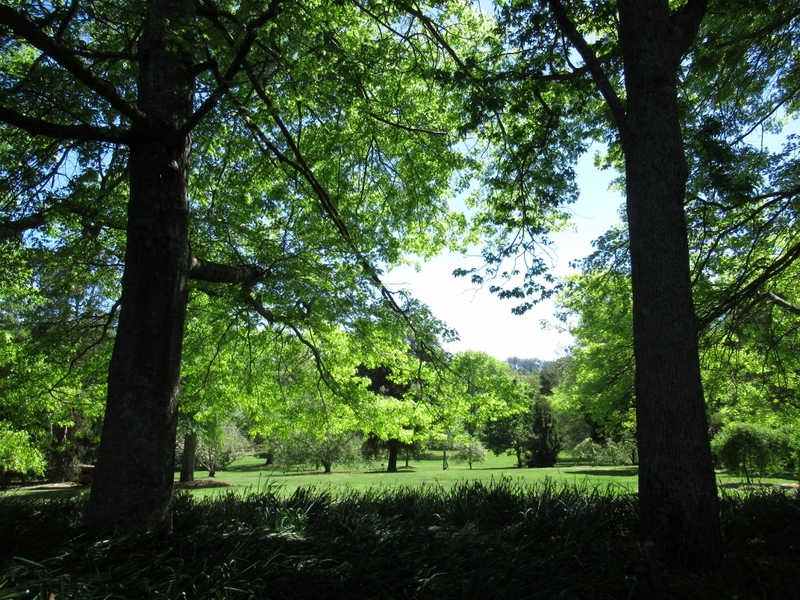 Along the Emu walk are trees called Tilia cordifolia “Rubra”. Also known as Lime or Linden trees. 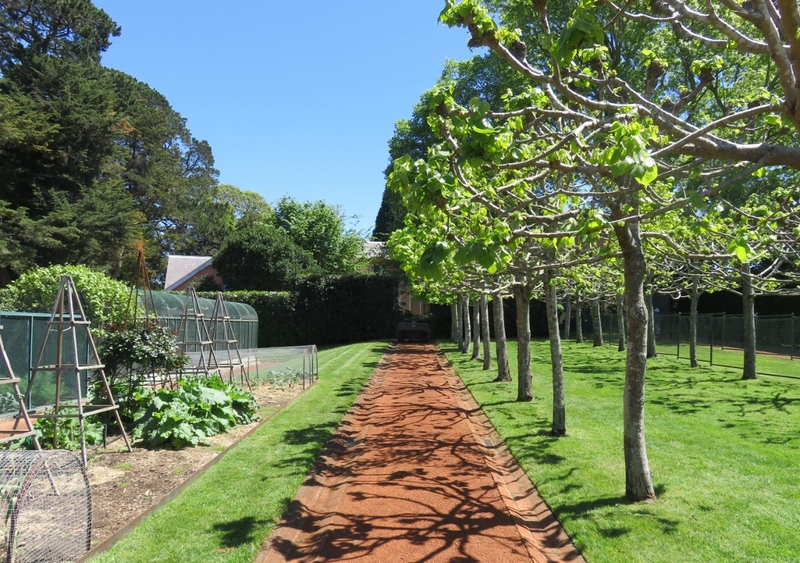 The older aviaries are being taken over by impressive vegetable gardens. Near the garage was the Peony walk, unfortunately nearly the end of flowering time for these gorgeous flowers, but we managed to find a couple still blooming….Paul took an lovely shot of the pink one.. 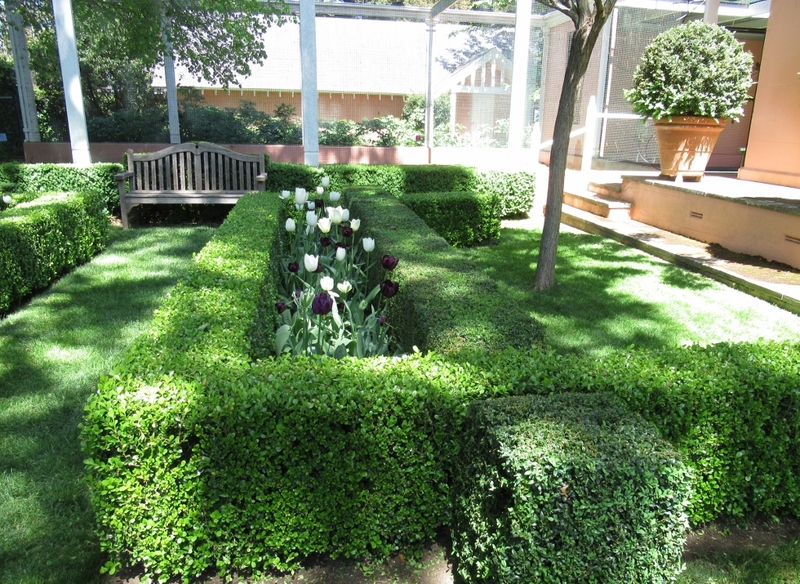 The Knot garden, closer to the house is planted with English and Japanese box and Mop-top Robinias, designed by David Wilkinson, architect and landscape gardener. The black and white tulips were very striking.. 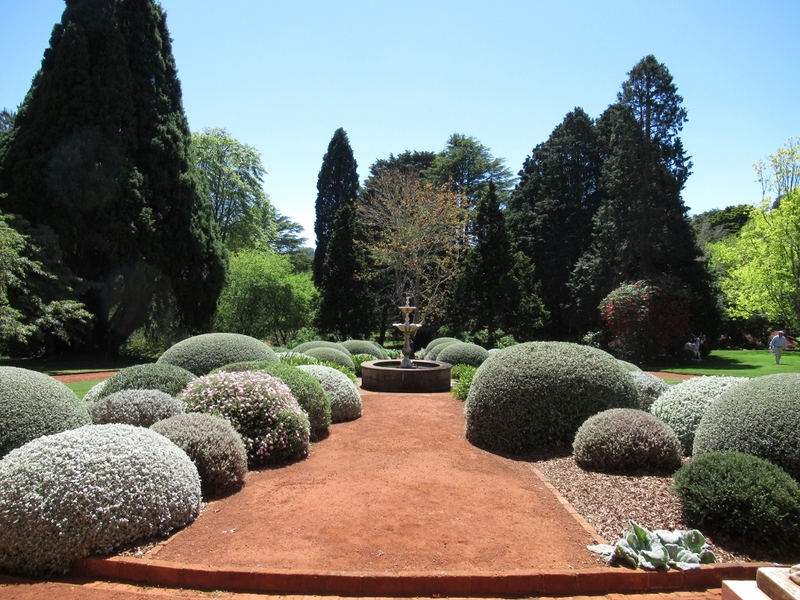 The Knot garden takes us full circle to the front of the grand house, and this is called the Grey Garden, and is planted with white agapanthus and clipped slivery grey shrubs. Looking down through the Grey Garden you can see the lovely parkland beyond.. 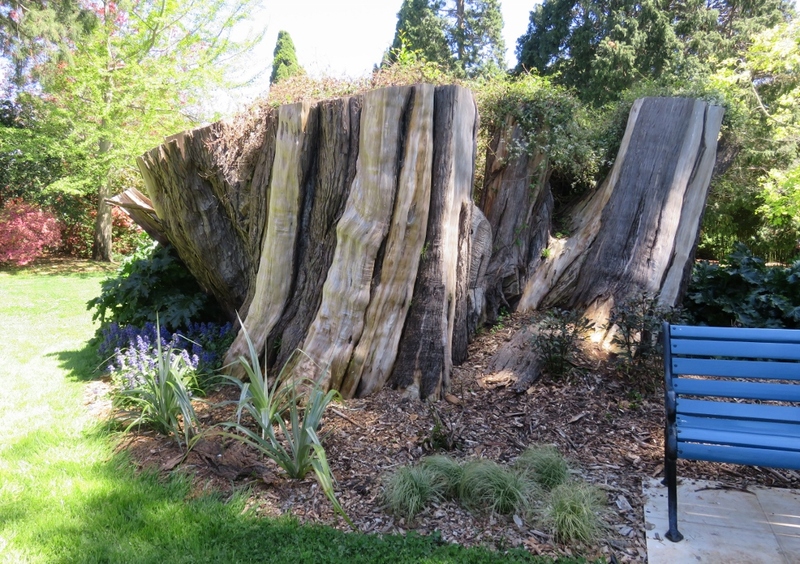 These ancient trees are drawing the visitor in…..what could be better on a warm spring day.. 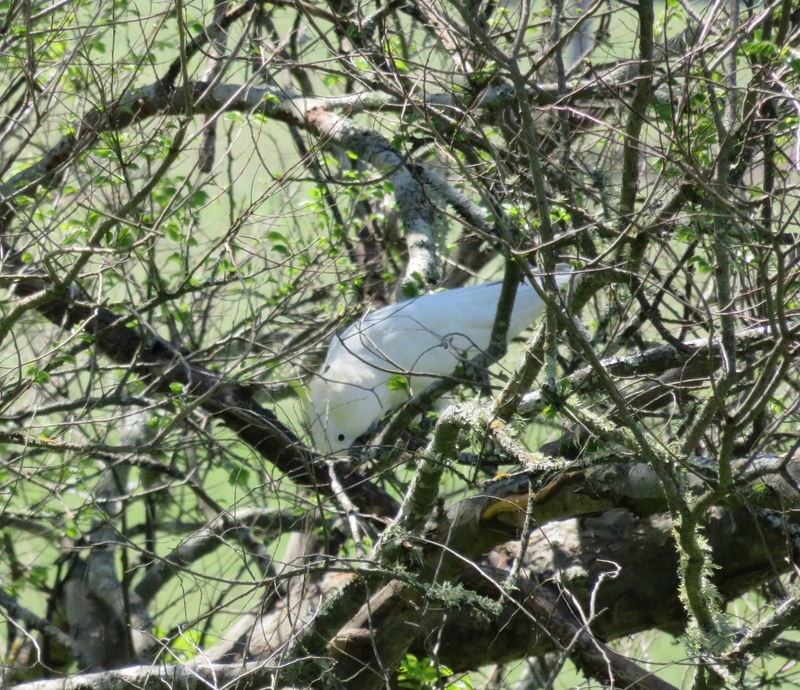 This entry was posted in New South Wales Gardens and tagged Bowral, Charlotte Hordern, cockatoos, Emus, James Fairfax, Monterey Cypress, National Trust, New South Wales, Oak trees, parkland, Redwood tree, Retford Park, Samual Hordern on October 27, 2017 by germac4.